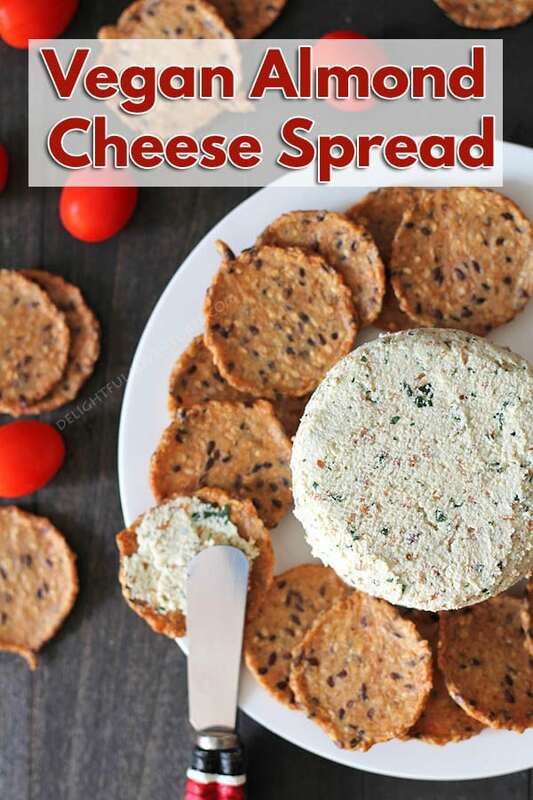 An easy recipe for savoury garlic herb vegan almond cheese spread that’s bursting with flavour and can be used in many ways. 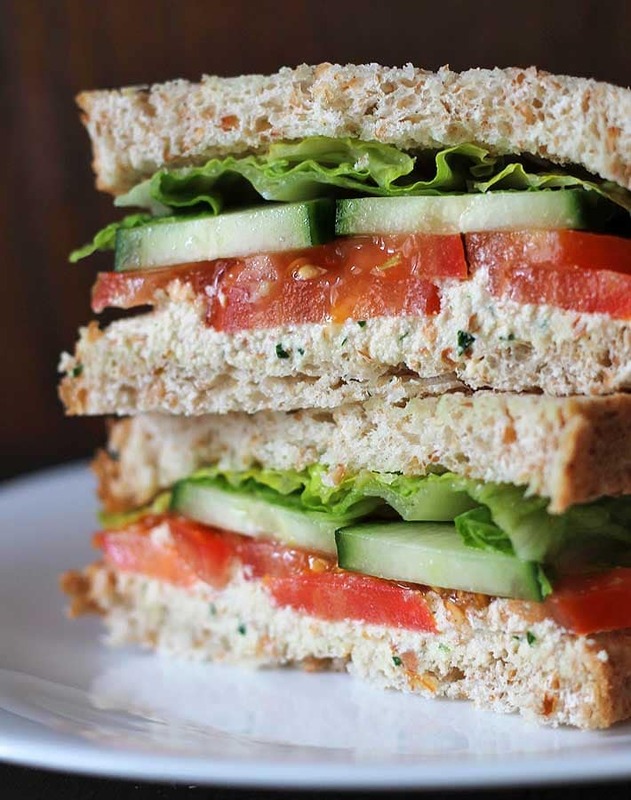 It’s great on crackers, sandwiches, and as a veggie dip! Confession: I have yet to try a store-bought vegan cheese I like. And that’s not to say that there aren’t any good ones out there. I just haven’t had a good one that I like yet (Is there one that you love? Tell me about it in the comments!). So when it comes to vegan cheese products from the store, I just stay away. However, I got a little curious with all the vegan cashew cheese recipes out there and decided to try something with almonds. 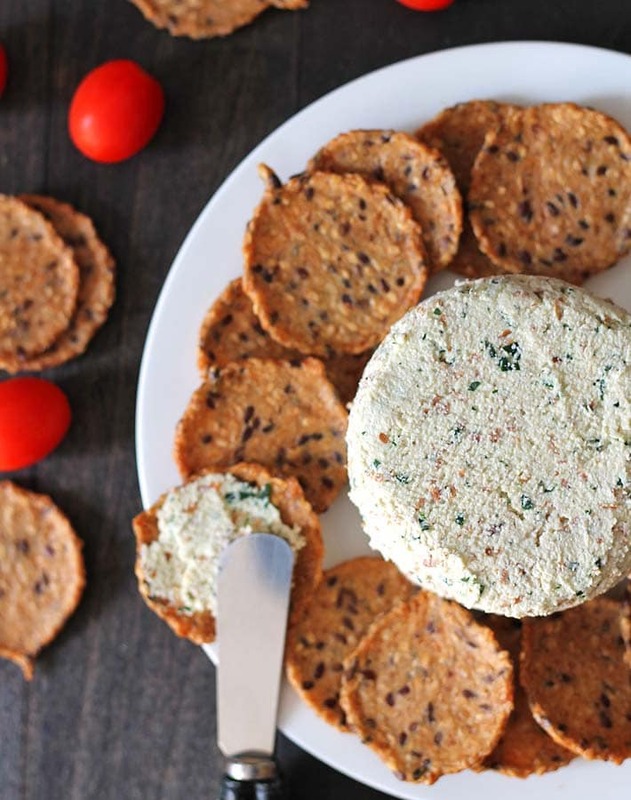 What I came up with is this garlic herb vegan almond cheese spread that’s bursting with flavour and can be used in so many ways. So why didn’t I just make a cashew cheese recipe when there are already so many to be found on the internet? A family member has a severe allergy so I cannot have cashews in the house. And I’m fine with that, I’ve never had cashew cheese, so it’s not like I feel as if I’m missing something. Quite the opposite. Especially when I have my vegan almond cheese spread! There aren’t too many ingredients needed to put this vegan almond cheese spread together and the ingredients aren’t complicated (simple like my easy kale chips!). But what is nutritional yeast? The one ingredient you may not have tried before is the nutritional yeast. If you haven’t used it before, read this article. It’s quite nutritious and can be used many ways. Buy a bag and put it in everything you want to give a little “cheesy” flavour to. 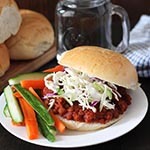 This recipe is also very easy and straightforward. The hardest part is being patient while the almonds soak. They need to soak for 24-hours, so be sure to plan ahead. After the almonds have soaked, I don’t peel the skin off, but you can if you’d like. I skip that step because the skin becomes so soft after being soaked that it makes no difference to the recipe since it doesn’t change the taste or the texture. You can peel the skin off yourself after the almonds have been soaked. The skin comes off really easily at that point, it’s just a little time consuming. It’s totally up to you and whichever way you go, your result will be the same and of course, delicious! Another good thing about this recipe is that you can alter the flavour based on your favourite herbs. While testing, I tried making the vegan almond cheese spread with chives, and then with dill, and they were both so delicious, but the parsley is my favourite. The spread is soft enough to also be used as a veggie dip. See how versatile it is? There are probably many other ways it can be used that I haven’t tried yet! 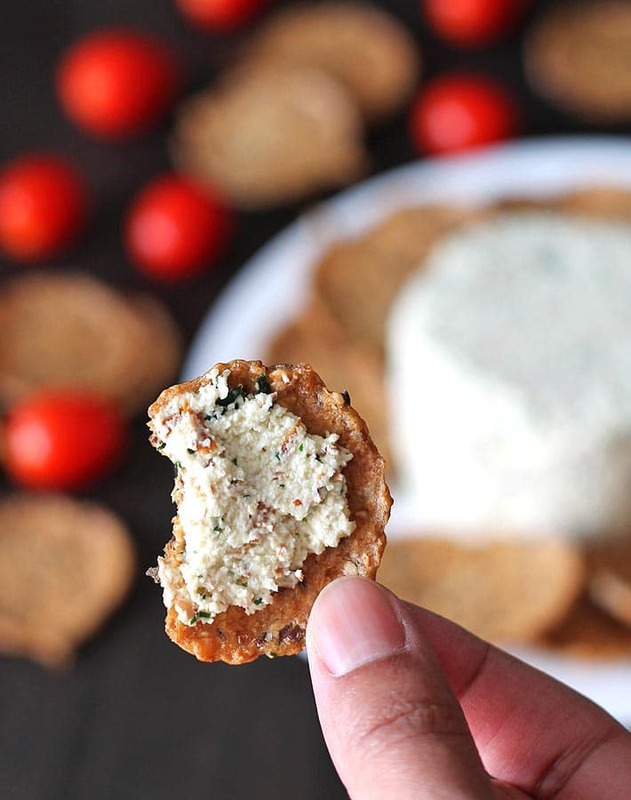 If you make my garlic herb vegan almond cheese spread, tell me your favourite way to use it! Leave a comment below, or even better, show me! Upload a picture to my Facebook page or to Instagram. If you do it on Instagram, be sure to tag me, I’m @delightfuladventures over there and my hashtag is #delightfuladventures. 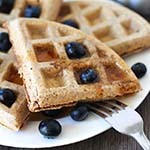 Craving a little something sweet after indulging in vegan almond cheese spread? How about checking out one of these recipes? 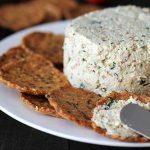 This garlic herb vegan almond cheese spread is bursting with flavour and can be used in so many ways. 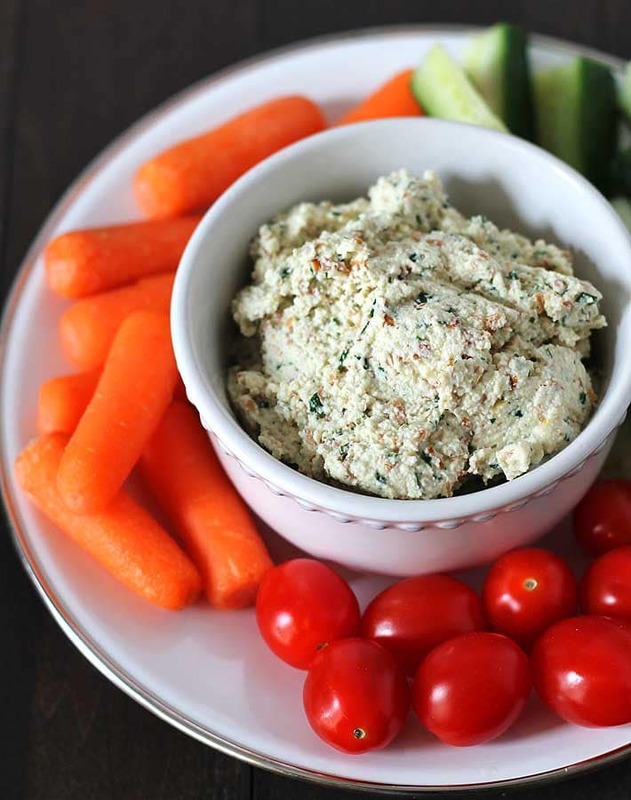 It's great on crackers, sandwiches, as a veggie dip, and more! Place the raw almonds into a glass container and cover with water. Cover, and place in the refrigerator. Soak for 24 hours. Drain and rinse the soaked almonds after the 24 hours have passed. Place the soaked almonds, water, lemon juice, nutritional yeast, olive oil, garlic powder, and salt into a high speed blender. Blend until smooth. Empty mixture into a bowl, add chopped herbs and mix until everything is combined. 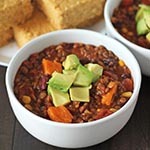 Place in an airtight container and refrigerate for a few hours so the flavour can develop. Store unused spread in the refrigerator in an airtight container for 4-5 days. Use only whole, raw almonds for this recipe, NOT slivered almonds or roasted almonds. Use your favourite herb and be sure to chop it up really well. My favourite is parsley and I also love using dill or chives (but not at the same time!). Only use raw, natural, unsalted almonds for this recipe. After soaking your 1 cup of almonds, they will expand a little. The soaked almonds will equal 1 1/2 cups. Spread will keep in the fridge for 4-5 days. Recipe makes 1 3/4 cups of spread. Nutrition info is for 1 serving of 7 (1/4 cup) and is only to be used as a rough guide. Click to learn how nutrition info is calculated on this website. and, again, for anybody dealing with yeast or candida issues, the nutritional yeast is non-Candida – it’s inactive, so it WILL NOT or SHOULD NOT affect anyone with these issues (I have them too).